Send us an inquiry to get specific pricing for Split Second. our family at all times. amazing! Our family loved every meal! She is an amazing chef. requested a NYE dinner on land and they made the reservations for us. Paul, Tanya & India. Thank you for a fabulous week in the BVI! We so enjoyed this week with our family enjoying your amazing meals, superb service and great company. Split Second is the most beautiful and comfortable boat. Happy New Year to you all and thankyou for taking such wonderful care of us. Without doubt THE BEST week of our lives! Team Split Second was so much fun and up for all of our wacky adventures. Thank you Paul, Tanya & India for your superb hospitality, thoughtfulness and sense of fun! We are truly grateful for this opportunity (and honored to be part of India´s 1st charter - you are destined for greatness!) and will always remember this trip and our fantastic crew as a once in a lifetime outstandingly happy memory! We hate to leave! Paul and Tanya made this trip for us so special. They thought of everything! Tanya’s meals were so creative and delicious, and Paul was so patient and helped us have fun snorkeling, paddleboarding, kayaking all while captaining the yacht. An extraordinary trip to the beautiful BVI! Exceeded all expectations. The yacht is truly a yacht in every sense of the word! Everything was very ‘Ship Shape’ and in ‘Bristol Fashion’! Complementing this superb vessel was our totally professional and finest crew. Both Paul and Tanya went above and beyond to make our time onboard very special. What a wonderful week spend on the yacht. We couldn’t have asked for a more relaxing time sailing between these beautiful islands! The yacht exceeded our ecpectations!. Such a beautiful boat! The cabons were spacious and comfortable. We LOVED the company of Paul and Tanya! What a lovely couple you are. So gracious and accommodating! And the food…FABULOUS!! Such a fun surprise each and every day Tanya AND Paul are true talents in the galley! An absolutely wonderful weeks sailing on the yacht. Idyllic scenery as we navigated the islands, Paul and Tanya’s knowledge and experience finding the most spectacular hideaways, and ‘sundowner locations’! We were spoilt with fantastic meals, top restaurant standard, using local ingredients, great presentation! Exceeded all expectations, leaving ‘chilled’ and rested, and will definitely be returning! Thankyou Paul and Tanya, you’ve been fabulous company and perfect hosts! Windsurfing lessons! Daily turtle sightings! We had a wonderful time in the BVI with Tanya and Paul. They are the perfect hosts in every way. We had gourmet meals, beautiful SCUBA diving, excellent itinerary. Its hard to go back to the real world! We had the most extraordinary time on the yacht! We have traveled all over the world and this trip stands out as one of the most fun for us! The boat is beautiful and luxurious, the food much more than we could ever have expected and Paul and Tanya excellent hosts who kept us safe, comfortable, entertained and well fed! We feel grateful to have been joined here together as long time friends for another great adventure! Thank you!! Thank you so much for a wonderful trip! We had the best time and will certainly miss it. Thank you for taking us to all the islands and marking up a map for us to keep. We loved your cooking and the stop for pizza this morning!! Hope to see you again! Enjoy your future travels! We enjoyed our time with you more than ever expected! You made us feel like new friends rather than clients, and we truly enjoyed getting to know you! It was fantastic sailing through the BVI and learning about the area. We’ll never forget the amazing natural beauty of the islands. The meals were absolutely phenomenal! You introduced us to so many new flavours! All restaurants should immediately change their recipes to Tanya’s Tiramisu!! We appreciated your attention to detail and your knowledge and experience. Thank you so much for this incredible opportunity! Until next time! You both made this the trip of a lifetime!! We couldn’t imagine doing this with anyone else. The food was amazing, the tours were amazing, and the company was AMAZING!! Thank you both for making this a week that we will never forget. We loved every minute. Special thanks to Paul for introducing Joe to a variety of water sports including his first sailing lesson! And to Tanya for the wonderful food. You really hit the spot – we will miss the menu boards! Absolutely flawlessin every way! I will remember the gourmet meals so perfectly presented in hopes I may become inspired to upgrade my own offerings! Thankyou so very much for making my BVI trip so special and memorable. It was the best vacation I ever had!!!!!!!!!!!!!!!!!! Thank you and especially Jamiey (CHEF, BARTENDER, HOUSEKEEPER,1ST MATE) and CAPTAIN Jack (DOES EVERYTHING). You guys are OUTSTANDING!!!!!!!!!!!!!!!!!!!!!!!!!!!! I couldn´t agree more with Kurt! Best trip I ever had. Jack and Jamiey made me feel like family within the first day of meeting them and really went out of their way to make sure that everyone was happy and comfortable. How would you qualify the crew and their service? How would you qualify the yacht (comfort, features, general maintenance, etc)? 5 Star - The heads were a little tight. But it was fine. How would you qualify the itinerary? How would you qualify the sports and leisure activities on board? How would you qualify the food and drinks? How would you qualify the entire experience of your trip? 5 Star - The best vacation I´ve ever had. Looking forward to the next one. 5 Star - Jack could not have been a better Captain. I felt safe every day being on the boat. Every morning he would give us history on the places we were going which I really loved. Whenever we wanted to go somewhere he would accompany us so we always felt safe. 5 Star - Jamiey was amazing! I could not complain about one meal she cooked. We had a different meal everyday which I though was great. I have some dietary restrictions and she would always make sure that I liked what I was eating which I so appreciated. 5 Star - I thought every room was great - you are really only in your room to sleep. The rooms were kept clean by the crew daily. Lots of space to move around. 5 Star - I loved every day - going to all the different islands daily was perfect. I was afraid I would feel stir crazy being on the boat but never once did. How would you qualify the sports and leisure activities/ equipment on board? 5 Star - I loved all the equipment! The floats and paddleboards were great. How would you qualify the entire experience of you trip? 5 Star - It was truly the best trip I have ever been on. Never felt so relaxed. I would recommend this crew to anyone! 5 Star - Highly knowledgeable, skilled, and super friendly. Went above and beyond to make sure we had an extraordinary experience, and we did! 5 Star - Seriously talented Chef. Felt completely at home. Service was top notch in every way. We were served 7 breakfast, 7 lunches, 8 snacks, and 8 dinners and each was uniquely delicious, healthy and beautifully presented! 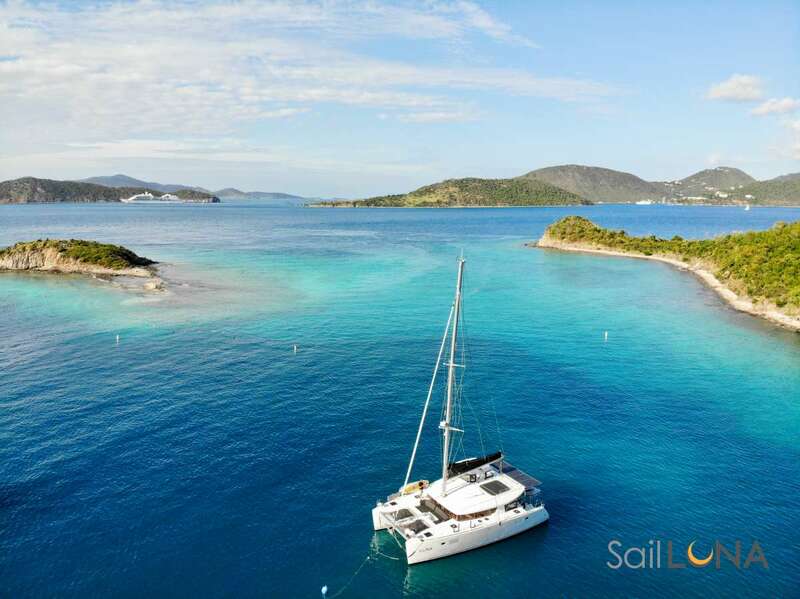 5 Star - Very comfortable, luxurious and well-kept by the attentive skipper and crew. 5 Star - Unbeatable. The skipper gave us choices and shared his extensive knowledge of the area. How would you qualify the sports and leisure activities/equipment on board? Had everything we needed to have a great time. Everyone loved the ´party float´! 5 Star - Each meal was exceptional and never repeated during our entire trip. Impressive to say the least. The Chef should write a cookbook, we requested many of her recipes! How would you rate the entire experience of you trip? 5 Star - the only downside was having to leave! My heart remains on the Split Second with Captain Jack and Jaimey in the BVI! 1. Was the crew friendly and accommodating? Anything special they did that stood out in your mind to make your trip excellent? How did they go above & beyond? -Made us feel welcome the minute we stepped onto the boat with introductions, snacks, and champagne. Went out of their way to listen and accommodate food preferences (roti). -Destinations were planned every morning depending on preferences, weather, and were in context with their deep knowledge of the islands. -It was a blast to sail and learn about sailing! Can´t say enough about this! -Surprised us with roti for lunch. After hearing our conversation for our love of roti, Jack and Jaimey were able to have them delivered for lunch. It was a wonderful surprise. -Let us sail the boat. Captain Jack was a knowledgeable and patient teacher. What a great experience! -Helped us find and use our windsurfers. Followed along in dingy to make sure we were safe and not in distress. -Made sure we all were able to enjoy our favorite activities. -Very friendly and really really really accommodating!!! Love that about them. -Helped us acquire fresh lobster in Anegada, they continually made sure that if anything extra was wanted that they got it, like Jack and Jaimey sourced fresh Roti from Tortola. Very impressed with Jaimey and Jack’s sailing knowledge. -The crew were great! Very friendly & accommodating! Jaimey overheard us all saying we liked rotis which wasn’t on our preference sheet or her menu plan but she made arrangements for them to be delivered while in port. She also was great to prepare delicious lobster spur of the moment when we were at Anegada. She also learned they I liked Chai tea and had prepared an adapted recipe for me a few mornings with what she had on hand. Jack was great to arrange for a wind surf boards to be picked up and to include us in beautiful hikes on his time. They also went above & beyond by allowing us to board/spend the night on Friday. -They let us come aboard Friday evening due to the original charter including a third crew member. Unexpected accommodation and made the trip so much easier. -Changed the meal plan to include a meal that everyone on the boat loved after we expressed regret we were going to miss having X. -Jaimey and Jack took great care of the boat and rooms. Rooms were cleaned and straightened everyday, floors cleaned, surfaces cleaned. -It was windy, so they rinsed the salt off the boat after every sail. -They picked up after us and had a lost and found space where it was easy to retrieve our forgotten items. -The boat owners are lucky to have a crew that takes great care of their investment. -Beautiful yacht!! They kept it in great shape too. -Yes, it was well cared for and extremely comfortable. 3. Was the food tasty and well presented? Any specific meals/dishes that you really loved? -Yes! Meal the last night was my favorite.... From appetizer to desert. -Wow! I can´t say enough about our meals. Jaimey´s presentation of the food was beautiful! The variety was nice. Special care was taken to make sure our dining experience was spectacular! Every meal was a hit! -Ribs!! Lobster!! Fried fish was an absolute top dish!! Her deserts were amazing!! -Yes the food was great. We liked having the lighter lunches. The flash fried fish, lobster & pasta were our favorites! -Yes. Roti (acquired mid charter); lightly fried fish; pizza. Banana bread. 4. Did you enjoy the area you sailed? What were your thoughts on the area after the hurricanes? What were some of your favorite anchorages/stops this time around? -Favorite stops... Anegada, soggy dollar, baths. I didn´t feel that the hurricanes dampened our experience. For me, the activities at the stops made the stops stand out.... Hiking, snorkeling, windsurfing, volleyball, walking on the beach, restaurant. -Loved the areas that we sailed. Was impressed by the tenacity of the people on the islands. It was obvious there was much damage done to the islands, but the people on the islands were able to provide services comfortably. So happy we were able to sail to Anegada. With the winds, we were able to make the sail quickly and had time to enjoy Anegada´s beautiful beaches. Great stops for an area that just got punished by 2 hurricanes. Sun was shining, the water was beautiful and the boat was grand!! -Yes they crew did a wonderful job of helping select destinations / activities. It was sad to see the lingering effects of the hurricanes on some of our favorite places, but the crew did a good job of seeking out places that were accessible and enjoyable. 5. Additional comments on your charter? -First time sailing. A wonderful experience! I will recommend this trip to others. I hope to charter another trip soon!!! -Highly recommend—would return to this boat and crew if given the opportunity! Jack and Jaimey – Thank you both so much for all you did to make this incredible moving experience so special. I (Debi) will never be the same! I will go to this trip in my head and heart often and think of you both. XO Debi and Ray (Birthday Deb) GO EAGLES! Was the yacht clean, well maintained and comfortable? : New boat and the crew keeps it spotless. Very well maintained. Would you take another charter in the future and where?´ Absolutely. Unbelievable trip and experience of a lifetime with 5 star food! Jack & Jaimey are a warm, friendly and fun crew. The service was never forced but always present. We all connected with you in a very genuine way. So, it was only natural that you became part of our trip and daily fun. Thank you Jack, Jaimey and Mel for the best trip our family had the opportunity to experience. The boat was incredible. Waking every day to a gorgeous port, taking a morning swim, a fabulous breakfast and planning our next adventure with Jack was a great way to start the day. You truly customized the trip to our interests, desires and however we felt at the moment. You catered to our spontaneous desires - ´swim call´ and fit in perfectly with our nightly euchre games. You were also terrific with the kids who I know appreciated Jaimey´s guided snorkle trips and Captain Jack´s water sport time. Then, it was always great returning from an activity to one of Mel´s fabulous afternoon snacks. We had been to the BVI before and in many ways you made us feel like it was our first time! We will be back and can´t imagine sailing with anyone other than your crew. Wonderful trip, crew, food and the best of time! Great family memories were make this week. Cannot thank all of you enough Beautiful time! We all appreciated the attention, the food and the vessel. Mel, Jaimey and Jack made it all possible to relax and enjoy our awesome tip to the BVIs. Great experience we will be back! Holly and I have been excited about coming aboard the Eclipse for nearly a year now. When our friends told us about Captain Jack and Jaimey and the catamaran experience we were ready to sign up. As we got closer we were abet concerned that the trip may not live up to expectations. You know when you are excited for something for a long time and have those high expectations, many times the experience does not live up to it. As soon as we took our dinghy ride to meet the Eclipse, we realized our concerns were way off base. Not only were Captain Jack and Jaimey attentive and helpful but, most importantly, they made us feel like family and members of the Eclipse crew. Waking each day to another fabulous meal followed by ´Storytime´ and our plan for the day ahead just made the experience that much more incredible. Each day we sailed and explored somewhere new and just when you thought things couldn´t be more fun and beautiful, the next day arrived. Each meal was expertly prepared and would have made any world renowned chef envious of their quality and presentation. We actually dared to eat off the yacht one night to have some world famous spiny lobster at Anegada Island. While the lobster was fantastic, our entire group decided we were not going to cheat on Jaimey again as her meals were superior to even that lobster. Our only regret for the entire trip on the Eclipse was that it had to come to an end. Eventually the real world came back to haunt us and as we headed home, we knew we would be back. We were not just leaving a crew behind on the Eclipse, we felt we were leaving behind family. Until next time, we wish you both happy sailing and we´re looking forward to our next adventure.